The SMX workshops are one day intensive training session about Google Ads (AdWords for us old timers) and how to extract the most value from your Google Ads Account. We have partnered with SMX to bring you this interactive learning experience. You can attend a full day workshop, attend the conference, or do both if you desire. You did a great job in the seminars this week. You totally are an expert on the subject and that was great to see. Well worth the money for the seminar and the education I got. I have been working on adwords for about 4 years now mostly part time, took the basic classes two years ago in Dallas and so it was great to move to the next level of knowledge. I feel empowered! Please email me when your new book comes out. 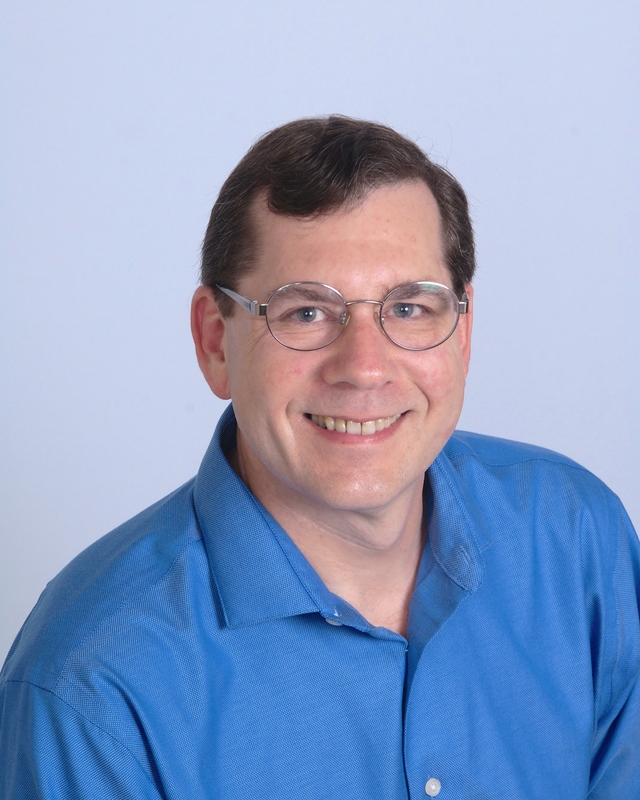 Kenneth H. Butler, Butler Information Technologies, Inc.
“I’ve been an SEM professional for a lot of years…and I have to say that it has been a very long time since I’ve learned so much in such a concentrated period of time. The day-long workshop was an amazing investment that has already paid for itself in less than a week. Thanks Brad for an amazing day! “This is the 2nd time I’ve taken Advanced Adwords Training with Brad Geddes. Since it had been 3 years since last time I wanted a refresher. It was so worth my time and investment. The seminar was probably worth far more than 10 times the cost. I was astounded to see how much useful information Brad was able to deliver in one day. My only quasi-negative comment: It might have been too much good information. I’m a little overwhelmed just thinking about where to start with all the positive changes I can now make with our internet marketing. Brad Geddes has conducted over 100 AdWords Seminars for Success (in conjunction with Google) and AdWords Workshops. Brad is the co-founder of Adalysis, a PPC recommendation engine. He is the author of Advanced Google AdWords, the most advanced book ever written about Google’s advertising program. Brad is one of the first Google Advertising Professionals and Microsoft adExcellence members. He is the first advanced AdWords Seminar Leader and works directly with Google to train companies on Google AdWords. He has written extensively about internet marketing for more than a decade. Brad has worked with companies who manage tens of thousands of small PPC accounts and other companies who spend millions on marketing every month. His experience ranges from owning his own agency, to working for a boutique agency, to managing programs that were official resellers of Google and Yahoo. Some brands he has worked with include: Amazon, Yahoo, RH Donnelley, Business.com, World Directories, Encyclopedia Britannica, and Red Lobster. One of his trademarks has been demystifying the complicated aspects of SEO, PPC, and Internet advertising. Not one to hold secrets, Brad prefers to educate his readers on the various aspects of crafting successful marketing campaigns to ensure the success for all parties involved. The AdWords Seminars for Success are officially supported directly by Google. They are in-depth, two day, intensive training on Google AdWords. Here are some of the testimonials we have received in our four years of conducting more than seventy seminars. First, I flew down to your conference in Houston not really having any expectations on what I was going to learn in a one day seminar over something that has paralysis by analysis written all over it like Adwords. However, I feel afterwards, it was one of the most positive and understandable conferences that I have ever attended. I just wanted to send you a note in appreciation for your time and thank you for all the information that you provided. I hopefully will get to goto another seminar in the future. I flew from Japan just for this seminar, and it was worth every penny. I know there are many people who teach AdWords, but no one is as specific as he is, and he doesn’t mind sharing the information with you. When it comes to AdWords, he is the one to listen. Great seminar. A lot of interesting information. You can tell that Brad knows exactly what he is talking about. Thank you so much. I learned an amazing amount from in the Seminars for Success Advanced Adwords course in two short days early this week. Brad taught us a huge number of you-gotta-know-this Adwords lessons that are turning into money in the bank for us already 3 days later. I think this seminar was probably the best money I have ever invested in a seminar. Within a few hours my goals for this 2 day Seminar in Toronto had already been achieved, I thought it was a very interesting and helpful Seminar. Brad, I admire your enthusiasm and wide range of knowledge. Keep up the good work! I would recommend this Seminar to anyone who has a basic knowledge about Adwords and Analytics. For Analytics you need to know a bit more about the technical implementation though. The seminar you lead was awesome. My only regret is that I did not fire the consultant I had about 3 months earlier! He was a good guy, but just did not get it. Your course saved me weeks of self study, and I am already seeing much better results than I have ever seen using a consultant. I attended Brads 301 and 302 google adwords seminar in Toronto this past week and was a little skeptical at first if i would learn anything useful. Well I was quite impressed with his knowledge and actually did learn a lot about adwords and google analytics and how to get to the proper reports that show you how to fine tune your account. I highly recommend the workshop to SEM professional. Brad has a lot of tools and advice that you can don’t find on the standard web sites about how to use adwords. thanks! I attended Brad’s Google Adwords 301 and 302 seminars in San Diego and felt that I must let others know about how much I have gained from it. Let’s put it this way: for 7 hours each day of the seminar, you are so indulged in the important information that you don’t want to even goto the bathroom. The seminar will pay for itself 10 fold within the first few months. Brad will teach you so many money saving and money making tips. Thanks Brad. Very informative for me – I was concerned most of it would go over my head but it was about right. Great presentation and question handling; the Adwords ‘tour’ explained the tools available and led to a number of changes to my ads, keywords and website. Excellent value. I really enjoyed the 2 days of advanced seminars in Chicago. Brad is obviously very educated in the ins and outs of AdWords. My only suggestion is I would have personally benefited from a little more time spent on more advanced AdWord bidding and advertising tactics. Thank you, Brad, for a terrific presentation. Right on target, insightful, and full of strategy. I attended your AdWords seminar a few days ago in Chicago. I just wanted to thank you for the excellence in the material you have provided to me. I really appreciate your passion for internet marketing as I have similar passions. I have loved designing and developing websites since I discovered them when I was 12… The tools that you gave me will now allow me to cause the websites that I work on for clients truly be successful and not just sit on the web doing nothing. I am also inspired by your story and career. Thank You so much! I think you are going to save me thousands and hopefully one day 100′s of thousands once my campaigns get bigger. I’m an affiliate and this type of training is essential and you guys delivered the best quality in content I’ve even seen about the subject of adwords. I left the seminar feeling more confident about this interface, but I sure would have been glad to pay extra for access to recorded video sessions. Maybe that’s something you guys could offer soon? Thanks very much. Brad is a genius–and I don’t say that about a lot of people. He knows Google adwords inside and out. I was thoroughly impressed by his presentation. Brad, great job with the seminar. It was taught well and at a good learning pace. You handled the array of questions from simple to hard with great explanations and analogies. I will probably be calling you for some personal phone consultations for my larger ppc clients. All the best! Brad did an excellent job. The material was very concise and clear and he answered all questions with certainty. All in all I would definitely recommend this seminar. Thanks for doing a really nice job. Brad, the seminar you lead was awesome. My only regret is that I did not fire the consultant I had about 3 months earlier! He was a good guy, but just did not get it. Your course saved me weeks of self study, and I am already seeing much better results than I have ever seen using a consultant. I found the two Adwords seminars, 301 and 302, to be invaluable to our ongoing and future success with our Google ad campaigns. After the two days, I was left with a limitless supply of ideas and methods of marketing our business to the masses on the internet. We were also given key indicators of success, which is very helpful. I also found Brad to be very personable and happy to answer the few questions that were unique from my perspective. I highly recommend this seminar for any sized business that is looking to expand into the world of internet marketing. I attended your Google Adwords Seminar for Success sessions in Austin earlier this week. I just wanted to say I really appreciated the content you offered. Your material was well balanced. I was fearful that because my company is not a product-selling company that we would not benefit from your information. That couldn’t have been further from the truth. Your seminar validated to me that the direction we have taken so far is appropriate. It is good to see and hear from an expert that we have made good decisions about our Adwords strategy. Your information and tips have given me new things to think about and to use when looking for new keywords to use, and as well to examine our existing keyword performance. The Google Adwords seminar by Brad Geddes was the most informative and enlightening one I have ever attended. The day flew by and the information gleaned was more than most two-day sessions I have attended. Brad – GREAT JOB! you managed multiple experience levels beautifully. I learned a lot. Already seeing better results from my Adwords campaigns. I’m sure I’ll attend another session. Very informative for me. I was concerned most of it would go over my head but it was about right. Great presentation and question handling; the Adwords tour explained the tools available and led to a number of changes to my ads, keywords and website. Excellent value. I recently attended the 2-day Google Seminar for Success in Houston and I must say, it was extraordinarily helpful! Brad was super thorough with the material and presented it in a way that kept our interest and provoked thought and constructive questions the entire time… and this is no easy task for an intensive, information-jammed course like this one. I was very excited to put this new knowledge to work and I fully expect that my business will see measurable progress as a result of Brad’s seminar. THANKS AGAIN! Danny Shaftel, Shaftel Diamond Co. I attended this conference in order to learn the latest Adwords developments, and in this respect, I found it to be most useful. We are using Adwords tools daily, so know more about them than the average user. Still, it is useful from time to time to take a step back and listen to an expert who is obviously plugged into the latest, as well as upcoming, developments. Brad is an exceptional speaker, offers insightful views about marketing theory, and is a technical master. Aside from that he demonstrates during his presentations a willingness to roll up his sleeves and delve into the nuts and bolts of how to manage Adwords to improve ROAS for clients.